You Gonna Use That Shed? 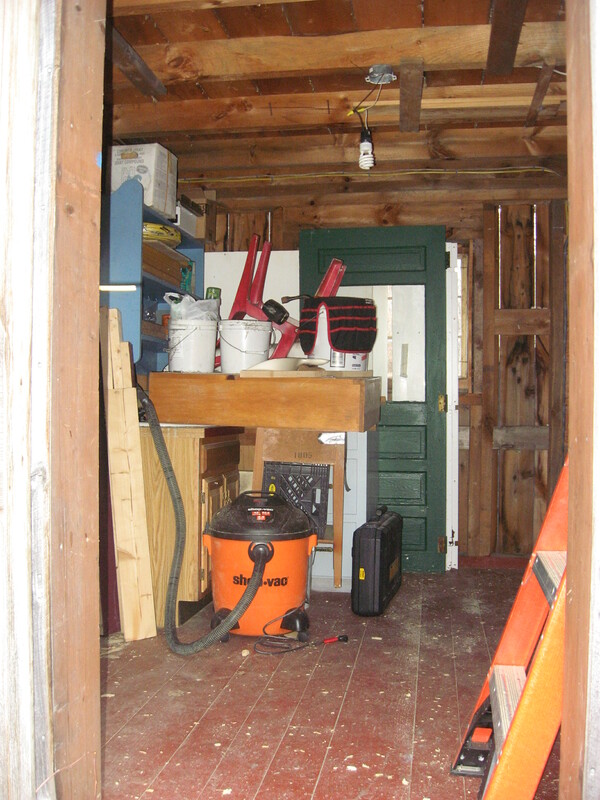 When I started there was a drafty antique barn door on the shed and a home-made trap door to the loft – I put in a better door with a window and an upstairs window in the door opening. Making a home is a big deal. It needs to be cozy and warm, comfortable and practical, and it’s a space you spend a large amount of time in. 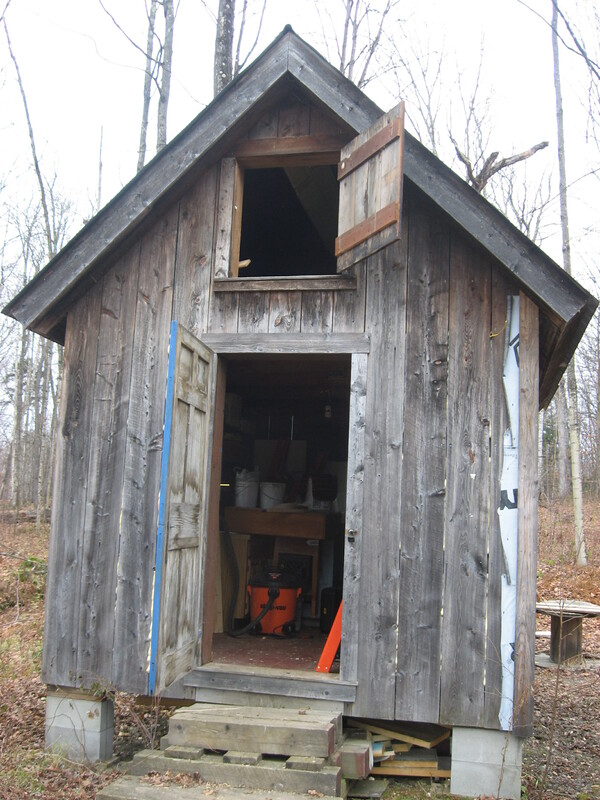 When I decided I wanted to build a tiny house, and I decided to start with this tool shed my step-father built 30 years earlier, I spent hours visualizing it. I slept in the loft in a sleeping bag a few nights to see how cramped it felt, and I drew various floor plans out on the floor to see what I’d have for space to move around. After much consideration and thought I decided this rustic little shed could be converted into not only a tiny house, but more importantly, a wonderful home. 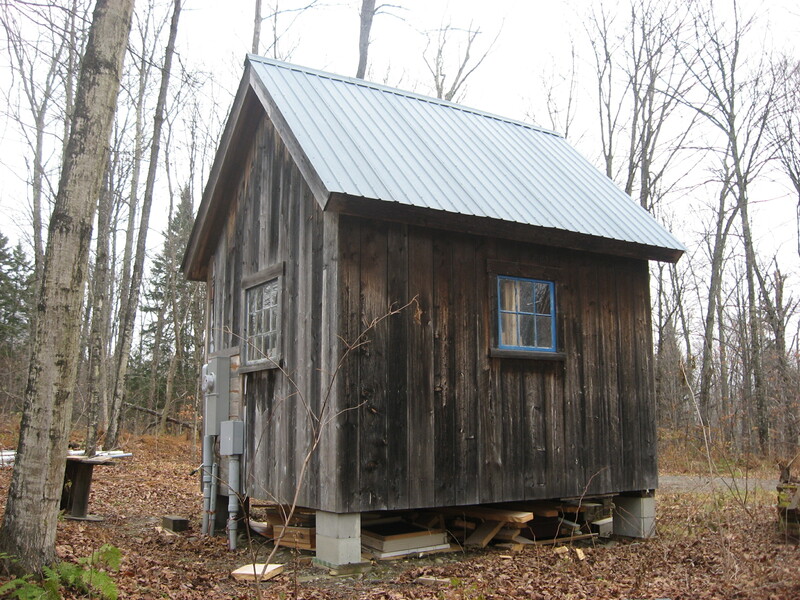 An exterior shot of the shed before I started working on it. Both these windows were replaced with second hand windows from The Re-Store in Burlington. The new windows are double paned glass that open and have screens. amid the construction chaos – it was a daunting start but came along quickly. I spent many hours sitting in the middle of the shed on a 5 gallon bucket picturing the layout. Because I had to wire it before I did anything else, I really had to decide where the kitchen was and what furniture would be where to determine where I wanted lights and outlets. If I had a do-over I may have changed a few small things, but overall am very happy with how it came together. 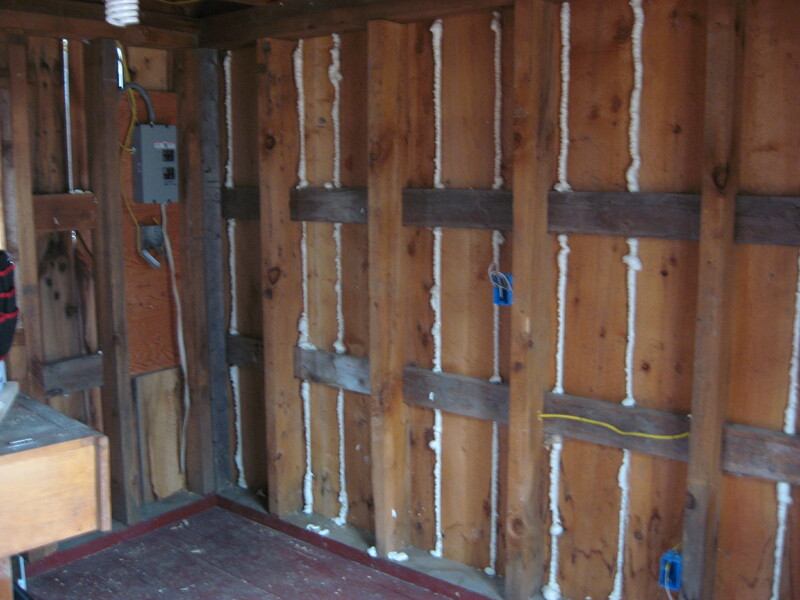 Interior walls, wired but not yet insulated. 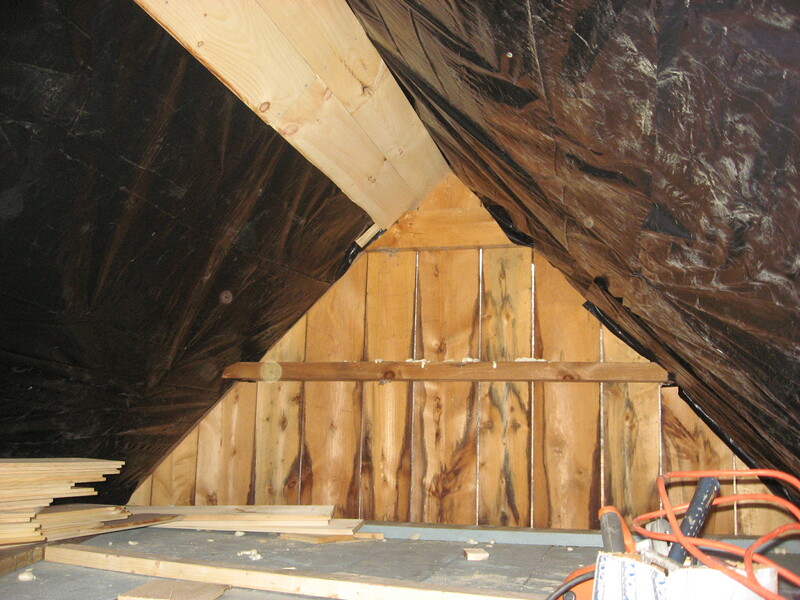 I foamed all the cracks so the blown in cellulose wouldn’t just spill out through the exterior walls.